Poverty in Greece, originally uploaded by Teacher Dude's BBQ. To listen to some international accounts of the current debt crisis you might be forgiven for thinking that the 300 billion euros Greece owes has been used to fund some kind of Balkan version of a Scandanavian welfare state. That the money has been spent on funding an unsustainably generous social safety net. However, even a brief visit to the country's decrepit hospitals and threadbare schools is enough to disabuse even the most casual observer that that the huge mountain of debt accumulated has been used to improve the lives of the poorest Greeks. While in theory Greece has a welfare state that compares with other EU members the reality is that much of this provision is of low quality or non-existent. As a result of such systematic deficiencies people are forced to pay for services that other Europeans take for granted. Few, if any student entering the countries universities have got there without massive investment of time and money by parents in the form of expensive extra tuition. Similarly, medical treatment in the country's supposedly free health care system costs billions in terms private charges and bribes. Instead most of the money has simply evaporated in a miasma of corruption and incompetence which sees that any public service contract almost invariably goes over cost and requires double ot triple the time originally alloted. Case in point is the underground system being built in the northern port city of Thessaloniki which started 45 months ago and already is 32 months behind schedule. That number is set to rise as the Itallian construction company which won the countract has announced that it will fire 80% of its employees in March if it does not receive extra funding. On the other hand the country Greece's bloated public sector can still afford to pay some of its better connnected employees 16 salaries per year. Those luckily to be employed by parliament are paid for 16 months work annually. At the other end of the spectrum tens of thousands often wait months or years to be paid wages owed. Giorgos Papandreou has been working hard over the last week at the Davos World Economic Forum to try and persuade fellow Europeans and international economic markets that the his newly elected socialist government can reign in spending and raise more revenue. However, how much influence a system that his party has been instrumental in setting up and maintaining over the last 30 years is open to doubt. For the last four decades both left and right have used the public sector as a way of gaining and maintaining voter loyalty by handing out jobs and contracts in return for political support. As a result the country's infrastructure has been manned not by the brightest or the best but the most faithful. Entry and progress depend not on competence but on maintaining the myriad of personal, family and political connections that form the basis on any succesful career in Greece. With unemployment predicted to hit one million in 2010 conflict and clashes between social groups unwilling to make sacrifices and a government unable to pay seem unavoidable. Already farmers have blockaded much of the country's transport network in order to demand one billion euros in funding and sweeping changes in agricutural policy. Greek folk dancers from Sohou - Thessaloniki, originally uploaded by Teacher Dude's BBQ. 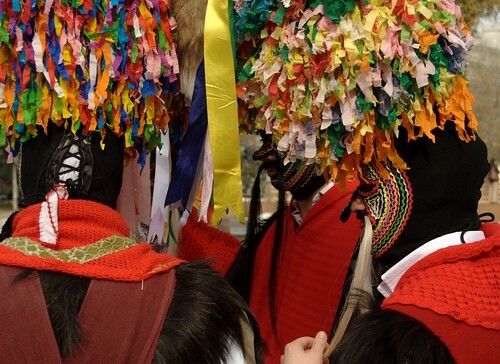 The Greek carnival season (apokries as it is called) is almost upon us. Arrest Tony Blair for Crimes Against Peace, originally uploaded by Teacher Dude's BBQ. Your attempts to arrest Mr Blair will, at this stage, be largely symbolic, but they will have great political resonance. If any police officers are accompanying Mr Blair, you should explain the charge to them, and encourage them to support you by arresting him. You are advised not to put yourself at risk of charges of assault or false imprisonment. In other words, do not cling onto Blair or attempt to drag him anywhere. You are unlikely to get much further than that. But as long as the attempt is picked up by the media, the point will have been made: he is a war criminal who can expect to be pursued for his crime wherever he goes. 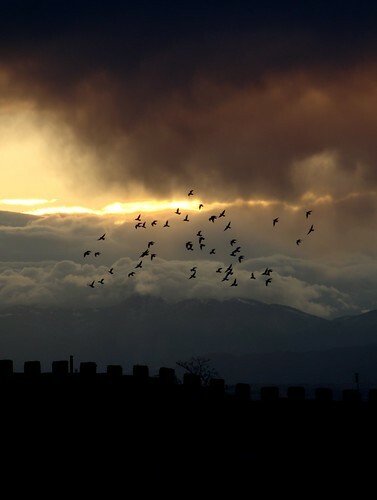 You should decide how you want to leave the situation after your attempt. Blair or the people accompanying him might wish to argue with you if the arrest takes place in the media spotlight, so before attempting it you should have a good grasp of the case against him, be aware of the likely counter-arguments, and prepare some responses. You might also wish to contact the media either before – if you know and trust a journalist – you attempt the arrest or immediately afterwards. It’s a good idea to prepare a press release (and a list of email addresses of relevant news desks) beforehand, for a friend to send out as soon as it’s happened. The chances of getting Blair officially arrested or prosecuted in most nations are currently slim. But like most non-violent direct action, the main purpose here is to create an event which alerts people to an uncomfortable truth, changes the public mood and puts pressure on governments. Protesters demand better treatment of immigrants in Greece, originally uploaded by Teacher Dude's BBQ. Time - Blair on Trial, originally uploaded by Teacher Dude's BBQ. 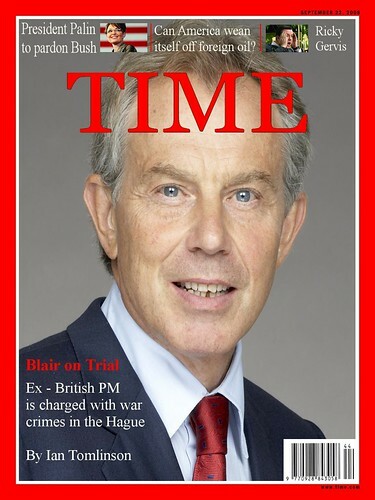 In the months following Tony Blair's dramatic arrest at Amsterdam's Schiphol international airport last September the possibility that a former UK prime minister maybe be tried and sentenced for war crimes has gripped the imagination of people from New York to New Delhi. Media representatives from every corner of the planet have turned the sleepy Dutch city of the Hague into a international news circus dwarfing the coverage given the O.J Simpson trial in the 90's. According to latests foreign ministry accounts 6,560 reporters have descended upon city to cover this week's preliminary hearings which are scheduled to conclude next week. Not surprisingly, it has been the question of the sense and the legitimacy of the trials that is the center of attention for many eyewitnesses. Despite the lack of a legal precedent, most of them approve of the proceedings because, as U.S. writer Gore Vidal put it, "warmongers will no longer be able to live quietly in retirement." 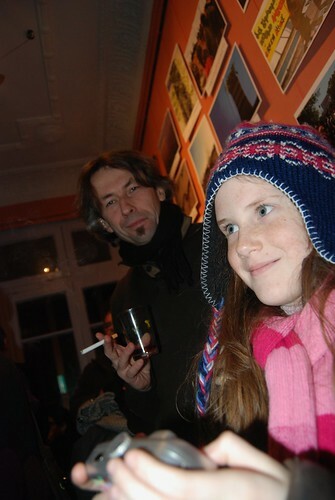 Some observers, however, have remained skeptical. Iraqi writer Salah Wali considered the indictment "bizarre" and British diplomats in Brussels have privately admitted that the British didn't "enter the war with clean hands. No nation could have done so." The defendant, who await the world's judgment in varying postures of resentment, resignation, and revolt, is another focus for most members of the press. "While the counsel for the prosecution reads UK documents about the killing of Iraqis and Afghans," railed Polish reporter Pawel Osmanczyk, enraged by the prisoner's deliberate display of boredom, "Blair yawns, or just pretends to be asleep." Fascination for and disappointment about the banality of the man who helped in the possible murder of thousands of people also appear in the accounts of the reporters witnessing the proceedings. "Involuntarily one desires to see a greater man," wrote Australian journalist John Pliger, "who have to stand trial for all the cruelties which are spread out before the court." Afghan opposition leader, Abdullah Abdullah remarked incredulously: "He is so insignificant that you ask yourself: Was it really this degenerate who laid my country to waste... ?" On Saturday I attended the opening of an exhibition of photographs on environmental themes held by Green Attack at the Steki Metanaston in the centre. I submitted a couple of my own pictures so I thought it would be a good idea to go and say hi to the others. Me and Lydia had a great time and enjoyed both the company and the pictures. 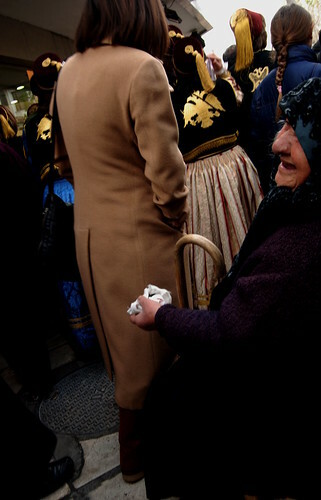 The exhibition can be seen at the corner of Venizelou and Ermou in the centre of Thessaloniki and is the first floor. If you have the time take a look. I really love what the different groups have done with the place which used to be an abandoned hotel. Lydia by Dude, originally uploaded by Teacher Dude's BBQ. 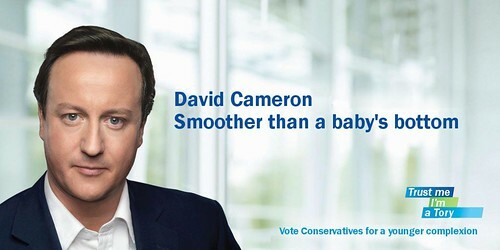 David Cameron: Smoother than a baby's bottom, originally uploaded by Teacher Dude's BBQ. Either this is a very bad case of photoshopping or David Cameron is about to star in his own video game. Grand Theft Nation perhaps? LIFE - Bush On Trial, originally uploaded by Teacher Dude's BBQ. 'In the months following George Bush's dramatic arrest at Amsterdam's Schiphol international airport three months ago the possility that a former US president maybe be tried and sentenced for war crimes has gripped the imagination of people from New York to New Delhi. Media representatives from every corner of the planet have turned the sleepy Dutch city of the Hague into a international news circus dwarfing the coverage given the O.J Simpson trial in the 90's. According to latests foreign ministry accounts 6,560 reporters have descended upon city to cover this week's preliminary hearings which are scheduled to conclude next week. 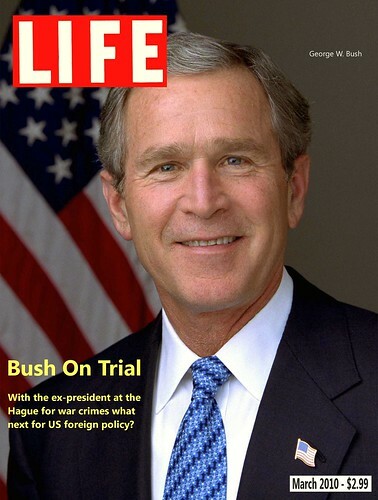 Bush's detention on route to the UN conference on North Atlantic Security and Safety in Zurich severely strained US – Dutch relations with some Republican members of Congress calling for the air strikes on military targets within the country if the former president was not released. In the days that followed hundreds of businesses and organisations with ties with the Netherlands were attacked throughout America with three Dutch citizens losing their lives in bomb attack on the country's Los Angeles consulate. Not surprisingly, it has been the question of the sense and the legitimacy of the trials that is the center of attention for many eyewitnesses. Despite the lack of a legal precedent, most of them approve of the proceedings because, as U.S. writer Gore Vidal put it, "warmongers will no longer be able to live quietly in retirement." Some observers, however, have remained skeptical. Iraqi writer Salah Wali considered the indictment "bizarre" and American diplomats based in Europe have privately admitted that the Americans didn't "enter the war with clean hands. No nation could have done so." The defendant, who await the world's judgment in varying postures of resentment, resignation, and revolt, is another focus for most members of the press. "While the counsel for the prosecution read US documents about the killing of Iraqis and Afghans," railed Polish reporter Pawel Osmanczyk, enraged by the prisoner's deliberate display of boredom, "Bush yawns, or just pretends to be asleep." I'm still getting used to my new place. It's very quiet which is a little disconcerting after spending years surrounded by neighbours who whisper in screams and endless construction work. I swear that my old place was the contractor's answer to the Bermuda Triangle, an area which possesses an unholy power, which in our case meant that they just simply could not pass by without drilling at least one hole in the area. Electricity and phone companies, natural gas providers, paving contractors, sewage installers, and builders of every shade were drawn to it like a moth to a flame. After a couple of weeks they'd once again feel an unfathomable urge to come back, preferable with a pneumatic drill and commune with the earth. Like Richard Dreyfuss's character in Close Encounters of the Third Kind all they know is that they have to be there. I've got the flat looking like a real home with books on shelves and clothes in wardrobes rather than strewn across the floor. Starting to feel like I belong there. "Trust me, I've done this before." I moved home on Saturday and as experts will tell you changing address, along with divorce and the death of a loved one ranks as one of the most stressful experiences most people face nowadays. Of course, much of what raises our blood pressure or gets us bouncing off the wall seems comical to those not involved and I'm sure that at some point, I, too will be chuckling over what happened, able to see the funny side of it all. "So where's the truck?" I ask Spyros, the guy I hired to help me move. "What truck? We don't need a truck I've got this", pointing towards his tiny Fiat Uno. "Trust me. I've done this many times before." My first reaction is to laugh. Obviously, the guy has a wicked sense of humour if he really believes that a double bed, washing machine, sofa etc. are going to fit inside his car. Then I realise with growing horror that he is actually being serious. He really does think that if we take apart, sorry rip apart the bed it will fit. At this point I start to get angry and then stupidly try to reason with him. 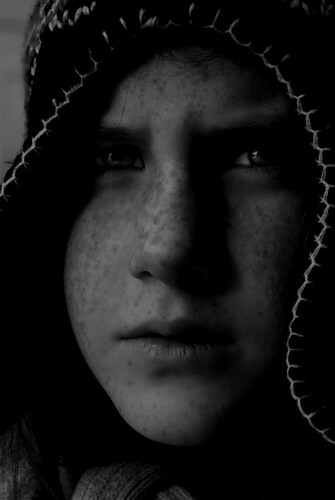 He stands his ground braving both my anger and logic to insist that everything is possible. He eventually gets his head around the idea that I'm not going to pay him to butcher my furniture. Even as he leaves he asks one last time, "But are you sure? Ive done this before." So, there I am stuck in the entrance to my flats with most of my possessions laying around the place in boxes and bin liners thinking where am I going to find someone to move this stuff on a Saturday afternoon, just one hours before many businesses close for the weekend. And, of course this is when the Greek Effect kicks in and friends rally round and with their connections I manage to find a person to help in less than an hour and have the job finished by 4pm. After months about thinking and worrying about the move I have finally done it. The place looks like a rummage sell with rooms full of bags and boxes. But it's done. The rest is detail as they say. Tony Blair's mug-shot, originally uploaded by Teacher Dude's BBQ. 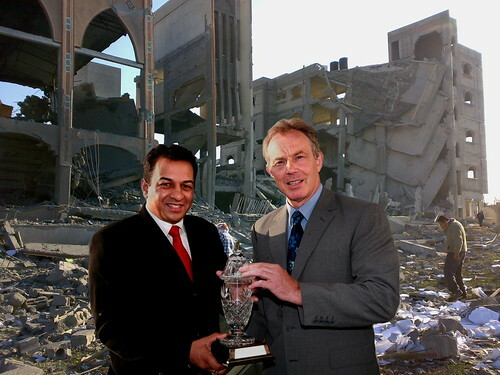 Tony Blair receives the 2010 Louis Vuitton Middle East peace prize, originally uploaded by Teacher Dude's BBQ. Remember kids, propaganda begins at home. Tony Blair - The man, the politician, the fashion icon, originally uploaded by Teacher Dude's BBQ. 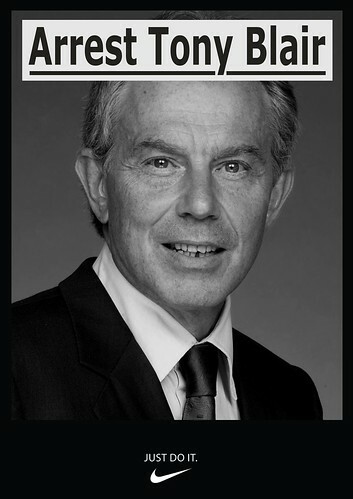 "At last we have found Tony Blair's core ­principles, his true ­beliefs, the real third way. It is handbags. He is in the final stages of negotiating a job with Louis ­Vuitton Moët Hennessey. It not so much a corporation as a posh-brand pile-up on Millionaire's Row. 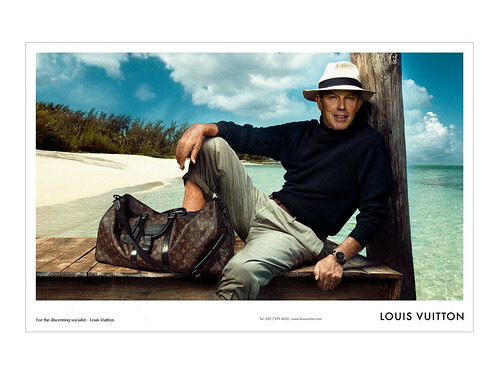 Louis Vuitton is a shop that sells dog bags for £1,260 (breathable mesh window is included)." My head in the clouds, originally uploaded by Teacher Dude's BBQ. Daddy, how many kids did YOU kill in the Great War on Terror? 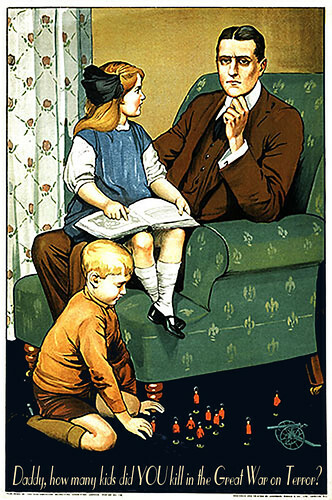 Daddy, how many kids did YOU kill in the Great War on Terror?, originally uploaded by Teacher Dude's BBQ. "American-led troops were accused yesterday of dragging innocent children from their beds and shooting them during a night raid that left ten people dead. Western military sources said that the dead were all part of an Afghan terrorist cell responsible for manufacturing improvised explosive devices (IEDs), which have claimed the lives of countless soldiers and civilians. " This lesson plan is based on an article I first saw in Time about Washington state's answer to Jessie James. This is aimed at intermediate or post intermediate students and could be used as a warm up on lessons concerned with crime or could be used as part of a lesson on discursive essay writing skills. 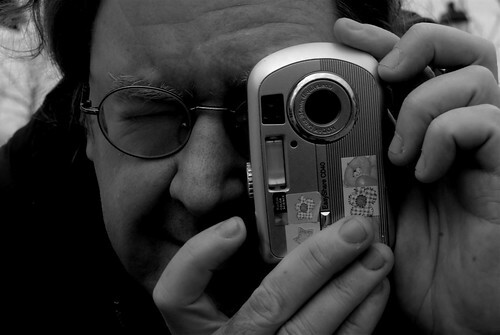 1 Show this photograph to your class. What crime to you think this person has committed? 2 Now students read the first paragraph of the Time article on Harris - Moore. "Visitors hoping to catch a glimpse of the bald eagles on Camano Island in Washington State's Puget Sound are more likely to see a different bird in the sky: a police chopper skimming the cedar forests in search of an outlaw. 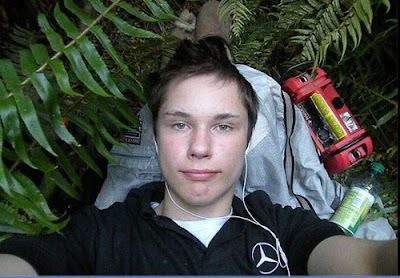 Colton Harris-Moore, a gangly 18-year-old with furtive eyes and a dimpled chin, has been on police blotters since he was accused of stealing a bike at the age of 8. Since then, he is suspected of having committed nearly 100 burglaries in Washington, Idaho and Canada. Police allege that he graduated from bikes to cars, then to speedboats. Lately, he is suspected of stealing three small aircraft — all the more impressive given that he has never taken a single flying lesson." 3 Now divide the students into two groups. The second group reads the article taking notes as they will not be able to see it again. Alternatively, you could ask students to take notes from this video. 4 Pair of students from each group with the "reporters" interviewing the "Coltons". Remind both sides that they are free to improvise. This could be in the form of written answers or could be recorded as video using students mobile/cell phones. Decide on a suitable punishment for Colton if he were caught? Would you want to be like him? "We spent almost 3 hours in a blind panic unable to locate our people, only their phones were found on the ground and answered by strangers. Some people are STILL missing. THIS is what it was like for us on this blog as it happened. God knows what tomorrow will bring after this attack. Hopefully the Egyptians have had enough fun and games and will now let them get on with their work of delivering the ambulances and aid to those who are in need of it." They also posted footage taken from Turkish TV here. For the latest updates check out their Twitter feeds here and here. Ironically, some of the medical supplies destined to help Palestinians in Gaza is now being used to treat those who wished to provide aid. 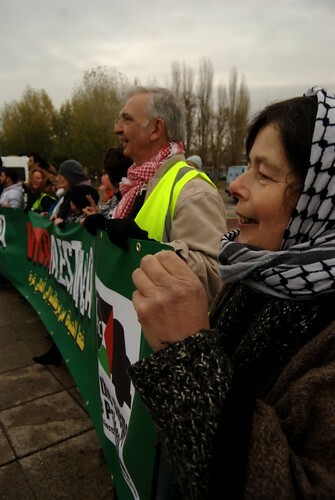 Just before Christmas I reported on the Viva Palestina aid convoy that was delivering medical and educational supplies from UK to the Gaza Strip. I talked with those taking part and was deeply impressed by their commitment to their mission. However, the latest news is not so gratifying. After being given the runaround by the Egyptian authorities and being told that they could not enter the country via Jordan they tried to get their supplies through via a Syrian port. Also the Israeli government attempted to stop the ferry the convoy reaching Egyptian territory using naval exercises as a pretext though this plan was thwarted thanks to the intervention of a Turkish warship which escorted them to their final port of call. The latest hurdle thrown in their path are new restriction placed on who can and cannot enter Gaza placed upon them by Cairo which has said that only 150 of the 450 volunteers who have come from all over the world to help can go through. 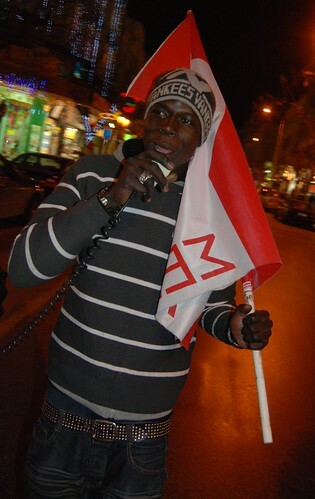 The Egyptian responded to protests by sending in the riot police who are attacking convoy members as I write this. Follow the latest Twitter update here and here. The Golden Rule - He who has the gold makes the rules. 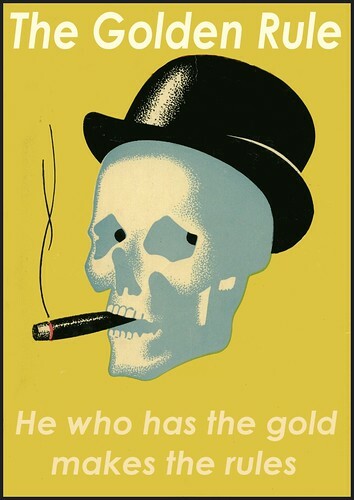 The Golden Rule - He who has the gold makes the rules., originally uploaded by Teacher Dude's BBQ. Poster activism - Never leave home without it. Patrotism means knowing when to keep your mouth shut! 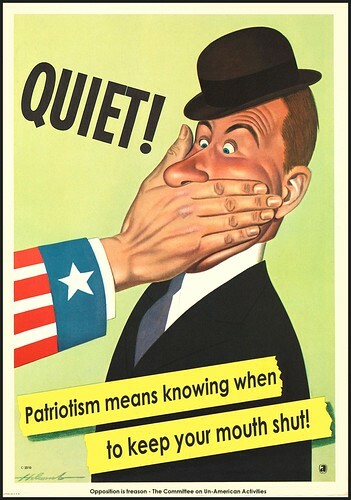 Patrotism means knowing when to keep your mouth shut!, originally uploaded by Teacher Dude's BBQ. This poster was generously sponsored by the Reformed Committee on Un - American Activities. Poster activism - You know it makes sense. 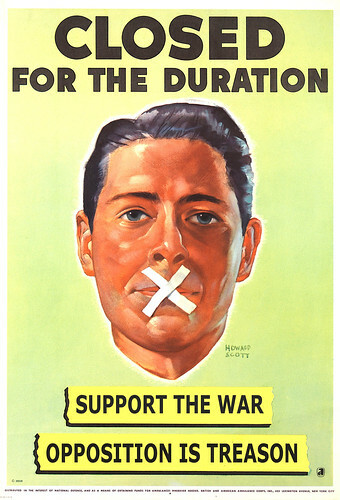 Support the war - Opposition is treason, originally uploaded by Teacher Dude's BBQ. 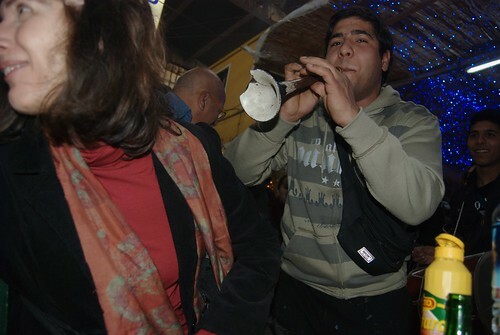 New Year's Eve - Thessaloniki, Greece, originally uploaded by Teacher Dude's BBQ. 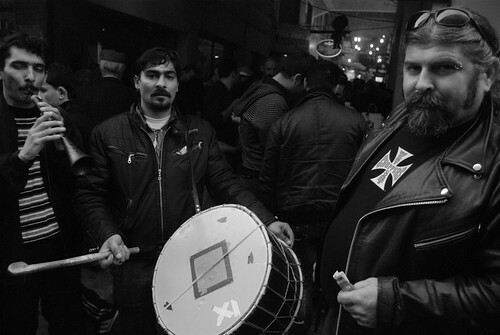 Taken in Kapani in the centre of Thessaloniki. 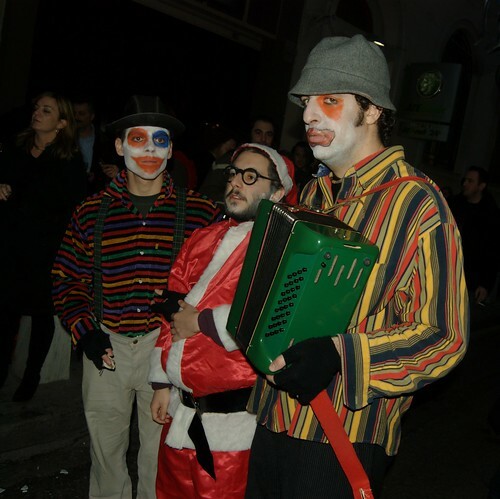 Hope everyone has a great 2010. Happy New Year!! !